In these conditions the words “we” “us” “our” shall mean and refer to the supplier of the goods. The word “you” shall refer to the person or company to whom the goods are sold or supplied. “The goods” shall refer to the goods, merchandise and other items the subject of the sale transaction and where the context permits or requires includes services. “GST” means the Goods and Services Tax assessable under the GST Law; “GST Law” means A New Tax System (Goods and Services Tax) Act 1999, A New Tax System (Goods and Services Tax Transition) Act 1999 and all associated legislation, subordinate legislation and administrative rulings. Unless otherwise agreed in writing by the parties and subject always to the requirements of relevant legislation these terms and conditions of sale apply to all sale contracts between you and us. 1. GENERAL. – These terms and conditions of sale apply to the sale of the goods by us to you; where this document is a quotation then the terms and conditions shall have application, so far as the context permits, in respect of any transaction conducted following acceptance of the quotation or negotiated variation thereto. 2. PRECEDENCE. – These conditions shall prevail over the provisions contained in any other document which may conflict with the provisions here in contained. (i) The quotation is not to be construed as an offer or obligation by us to sell and we reserve the right at our option to accept or reject any orders received. (ii) Our obligation includes only the goods as are specified in our agreement or the delivery documents. (iii) Our obligation to deliver the goods is subject to the availability of those goods at the date that delivery is required by you. Any delivery time quoted is an estimate only. (iv) The quotation is, prior to receipt of acceptance, subject to alteration or withdrawal at any time by us in writing and unless otherwise advised by us in writing the quotation shall be valid for thirty (30) days from the date thereof. (v) All prices quoted are based upon the quantity referred to and should there be any variation in the total quantity of goods ordered from that in the quotation we reserve the right to amend the price quoted. (vi) Unless otherwise stated the prices quoted include GST or any other Government imposts and charges which will be to your account. 4. INFORMATION AND DRAWINGS. – All descriptive specification, illustrations, drawings, data, dimensions and weights furnished by us or otherwise or contained in our catalogues, price lists and other advertising matter are approximate only and are intended to be by way of a general description of the goods and shall not form part of the contract unless certified by us in writing, in which case they shall be subject to recognised tolerances. 5. PACKING. – Unless stated otherwise in the quotation the price quoted includes packing in accordance with our standard practice. Any other packing requested by you or deemed necessary by us will be charged for in addition to the price quoted. 6. DELIVERY. – Any delivery or completion date or times stated are estimates only and we shall not be held liable for any consequences whatsoever for any delay to such times. Where applicable delivery will be made in accordance with a written delivery schedule mutually agreed with you at the time of placing the order. Unless amendments to the delivery schedule are given by you in sufficient time to alter the production programme and such amendments have been agreed by us in writing we reserve the right to continue to deliver according to schedule. If you are unable to accept deliveries on site we further reserve the right to deliver to your store. In such event, delivery to store will be deemed delivery on site and payment will be due accordingly. All charges relating to storage insurance and subsequent delivery to the site will be directly to your account. Where prices have been quoted “F.I.S.”, delivery is to ground floor level. In the event of any happening in consequence of which we cannot effect delivery by the agreed time, we shall be entitled to suspend delivery or extend the delivery time of the goods for the period during which such cause of delay operates and, in the event of such suspension or extension, we shall not be liable for any damages whatsoever. We reserve the right to refuse to deliver any goods under this contract if you have any monies outstanding beyond the date for payment on any account with us. 7. PRICES. – Except in respect of a quotation all prices payable by you for the goods shall be our prices ruling at the date of despatch. 8. RISK AND STORAGE. – All risk of or for loss or damage with respect to the goods passes to you on delivery of the goods to you, your servants, agents, customers or to any carrier. If delivery is delayed for any reason beyond our reasonable control for a period of fourteen (14) days after the date on which you are notified that the contract goods or any completed items forming part thereof are ready for delivery, the risk of such goods shall forthwith pass to you and we shall be entitled to present invoices to you for payment in accordance with Clause 11. We may at our option arrange suitable storage of such goods at our premises or elsewhere and all costs of or incidental to such storage shall be borne by you. You shall, on demand, pay to us all costs of storage, insurance, demurrage, handling and other charges incidental to such storage. 9. DAMAGE OR LOSS IN TRANSIT. – Unless otherwise agreed in writing you shall take delivery of the goods at our address notified to you or set out in the contract documents and the cost of transport to your premises shall be borne by you and we will not be responsible for any loss or damage of the goods after delivery thereof to your carrier notwithstanding that we may have arranged the carrier at your request. If the transport of the goods is our responsibility we shall repair or at our option replace free of charge any of the goods lost or damaged in transit to the contractual point of delivery provided that we are given written notice of such loss or damage within three (3) days of delivery or within such shorter time as will enable us to comply with the carrier’s conditions of carriage affecting loss or damage in transit. b) provided we deliver a tax invoice to you in respect of the supply of the goods by us the amount of GST payable in respect of the goods is payable by you to us on demand. 11. TERMS OF PAYMENT. – Unless stated otherwise in the quotation or agreed in writing, all prices quoted are strictly Nett and payment in full shall be due on and from the date of invoice. We reserve the right to deliver and invoice any item or items comprising the whole or part of any order or to proceed in accordance with Clause 8 hereof prior to any delivery time quoted by us. Should payment due to us not be received within thirty (30) days from the date of invoice then we shall have the right in addition to all other rights to which we are entitled at Law to charge interest on the overdue amount at the rate of 14 per cent per annum calculated from the date of the invoice to the actual date of full and final payment. Any payment made by you will credited first against interest accrued. We may at any time in our sole discretion combine the amount payable to us for the goods with any other account between you and us or otherwise effect any set-off without notice and no agreement to the contrary shall arise by implication only. 12. WARRANTY. – We will make good by repair or at our option by the supply of a replacement, defects which under proper use appear in the goods within a period of twelve (12) calendar months after the goods have been despatched and arise solely from faulty design, workmanship or materials supplied by us, PROVIDED always that the defective parts are returned by you free to our address on the delivery documents or invoice unless otherwise arranged. The repaired or new parts will be delivered by us free of charge to the point at which delivery was originally specified for the contract goods. Our warranty will not apply to any defect which arises by excessive wear, misuse, neglect, accident or incorrect installation including connection to wrong power supply. Except as specifically provided in these Terms and Conditions of Sale, there are no other conditions or warranties expressed or implied provided however that nothing in the conditions shall restrict, exclude or modify any condition or warranty implied by any legislation which both implies conditions or warranties and provides that such conditions or warranties may not be excluded where and to the extent that such legislation is applicable. 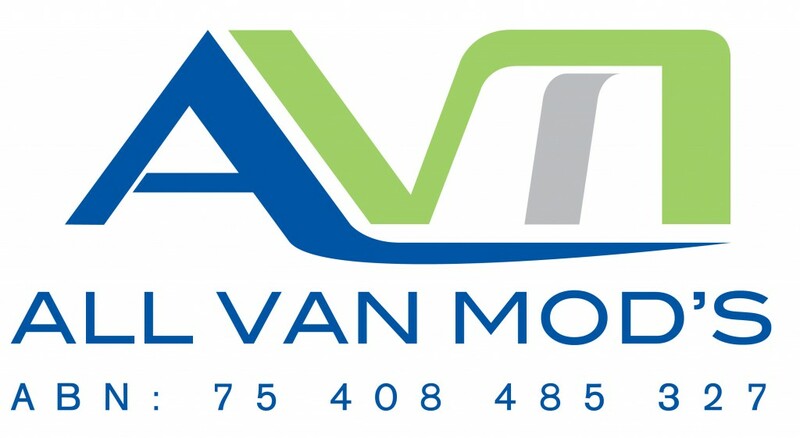 All Warranty work must have Managers approval in writing prior to any works being carried out, and works must be carried out in the AVM workshop. (iii) you accept our obligation to you under sub-paragraph (i) above (subject to sub-paragraph (ii) above) in full satisfaction of your rights against us in respect of the goods. (iii) you make any arrangement or composition with your creditors or commit any act of bankruptcy or proceedings in bankruptcy are commenced against you or, if you are a company, any resolution or application to wind up is passed or presented against you or a receiver and manager or receiver or administrator is appointed; In these terms and conditions of sale “act of bankruptcy” shall be deemed to include entering into a composition and the execution of a Deed of Assignment or Deed of Arrangement. (a) No claim in relation to damaged goods or shortage of length, quantity or weight will be considered unless notified in writing within seven days of delivery. (b) Credit may be allowed at our sole discretion but in any event no goods will be accepted for credit after thirty (30) days from the date of original invoice. (c) Non standard items will not be accepted for credit. (d) We reserve the right to charge a restocking fee on goods accepted for credit. Our minimum fee will be up to 20% of the invoiced price of the goods. (e) In all cases the original invoice or delivery docket must be quoted and return freight must be prepaid by customer. (f) Goods returned for credit must be accompanied by the original invoice or delivery docket and must be in the original pack and in a completely resaleable condition. (a) All orders place with AVM whether verbal or written, are subject to our terms and conditions as stated in Clause 15. If goods have been ordered and can not be cancelled or returned to our Suppliers, you the Customer will own these goods in full and payment is subject to Clause 11. (v) we shall have a right to any claim or claims you may have against third parties emanating from the sale of the goods or other goods or products into which the goods may have become incorporated; in the event of sales of the goods by you we shall have the right to trace the proceeds thereof.